Things changed on me at the last minute, and I hate it when that happens. Still, it does cause me to rest upon the Lord's strength and provision even more than when I feel like I've got all my ducks in a row. I hear of other people getting great deals on last minute travel arrangements, so I was hoping I could find one, too. But for the past two days all my attempts had yielded high prices and fees. I was growing discouraged. I sat here at my desk and just wept. I had made a mess of some things and now my poor choices had resulted in extra expenses. I owned those poor choices, but I didn't know how I was going to pay for them. So, instead of just crying into my tissue, I cried out to the Lord. "Please, God, I just need a little help here. I have made a huge mess of things and I know that. But I can't afford the consequences. Can you please help me find a rental car that I can afford?" I abandoned the web site I had been using with no results, and Googled "rental car." Up popped plenty of options, but I had no idea which one would lead to anything positive. I just clicked on one. Next thing I know, after filling in 42 the blanks with my vital information for the 29th time in the past 24 hours, up popped the deal of a lifetime. In fact, I wasn't sure it could possibly be legitimate. They offered me a full-size car for $29 a day, and with the fees added in it just amounted to $76 for the two days! The best offer I'd manage to find thus far was well over $225. I imagained that when I clicked "purchase" the web site would probably spit me out to some kind of this-is-all-a-big-joke-and-the-real-price-is-$325 page. Or even worse, I'd find myself renting from Bob's Cars and Kitchen Supplies and driving an old delivery truck. But nope. The car will be at the Hertz Rental facility (that's a legitimate rental company, right?) at the Dallas/Fort Worth airport (which is indeed where I'm flying to). So all is well. And I started praising the Lord of the Details!! God is not our genie in a bottle. But He is a God who cares about the smallest details in our lives. He is also a God of compassion and tender care. He is good. He is oh so good. So don't sweat the small stuff today. Don't cry about it either. Well, you can sweat or cry a little if you want to. I did. But when you find yourself sweating or crying or both...run to the Lord of the Details. I'm not promising the deal of a lifetime, but I know He'll take care of you all the same. 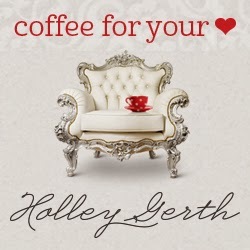 I'm joining with other bloggers today offering encouragement and hope through Holley Gerth's Coffee for Your Heart link up. You can find more encouraging posts from Holley and other authors here. 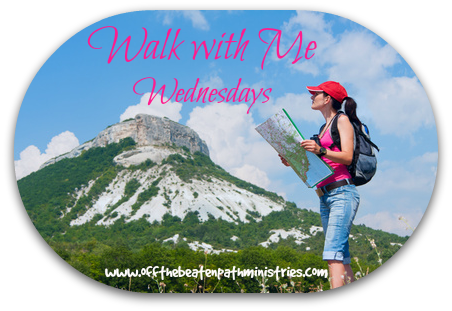 You'll find my other Walk with Me Wednesday posts here.